Khosh Amadid - Welcome to Iran. At the airport you will be received and transferred to your hotel. Time for a short rest before starting a city tour of Teheran. Tour includes visit to the National Museum of Iran with its vast collections of items dating back to the Sumerian Period (4500 BC). Visit the Glass & Ceramics Museum where many articles on display dating back from the 2nd century BC, are divided into five categories: 1) Enamel Gallery; 2) Crystal Gallery; 3) Nacre Gallery; 4) Gold Gallery; 5) Lapis-lazuli Galleries. Late afternoon transfer to the airport for flight to Shiraz. On arrival, transfer to the hotel. Overnight at the hotel. You will also visit a pre-Achaemenian, Achaemenian and Sassanian Persian archaeological site 10 km northwest of Persepolis; Naqsh-e-Rostam (means literally the carving of Rustam) is a sort of "Valley of Kings" dating back to the 5th and 4th centuries BC. 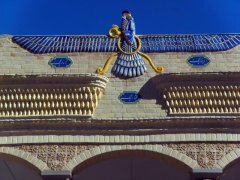 The most famous is the tomb of Darius I the Great. Bagh-e Eram Garden (the Garden of Paradise). It dates back to the time of Qajars, when Mohammad Gholi Khan Ilkhani ordered its construction. The most beautiful of all the trees in this garden - and the most famous tree of Shiraz - is a lofty cypress named Sarv-e Naaz (the sweet cypress), which indeed, seems a work of art. This slender tree is a source of inspiration appearing in most of the Persian Lyrics and Songs. The immediate connotation of Sarv in Persian mind is that of a beautiful, healthy and most beloved. 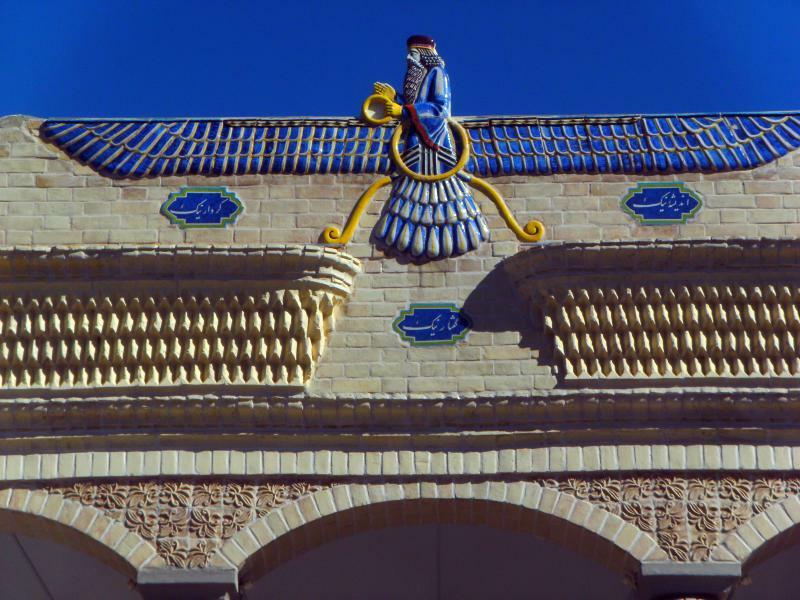 Drive to Yazd, en route visit the tomb of Cyrus the Great at Passargadae and the 4000-year-old Cypress tree in Abarquo. Arrive on route stop in Rafsanjan to see the varieties of finest pistachio followed by a visit to an old caravanserais near the city of Anar. Known as the "Pearl of the Desert", Yazd is a dazzling depiction of real Persian architecture. It has been an important station on the old caravan routes to Central Asia and India. Its history dates back to the time of Alexander the Great who praised the city, which he visited on his way to India. The tour also includes a visit to the Jame (Friday) Mosque. 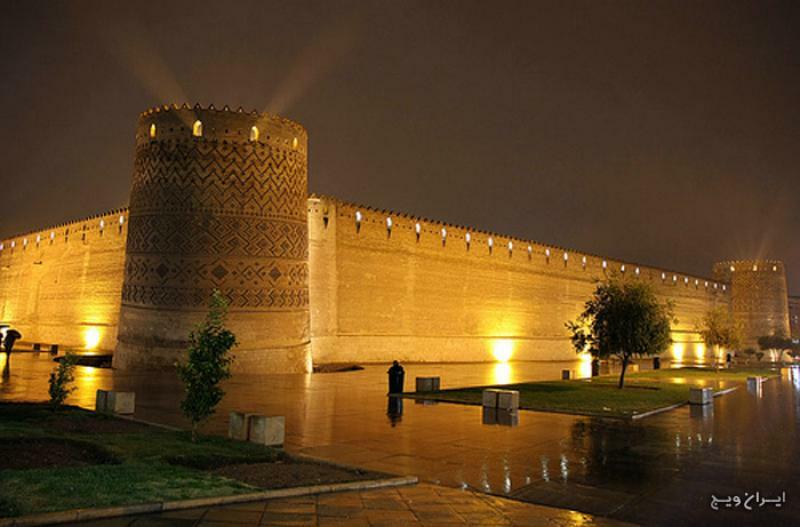 There is no more impressive gateway in Iran than this great soaring 14th-century edifice. Crowned by a pair of minarets, the highest in Iran, the portal's facade is decorated from top to bottom in dazzling tile work, predominantly blue in colour. Its tall faience Mihrab (sanctuary), dated 1365, is one of the finest of its kind in existence. Doulat Abad Garden. Watered by an aqueduct(qanat: underground stream) until the very recent past, Doulat Abad garden was used for the provincial governor. The most impressive part of the complex is a 33- meter high “bad gir” (Wind Tower) on the roof and a water stream in the interior. The air was conducted into the interior and cooled through the action of the flowing water. Lattice doors and windows with stained glass patterns impart a pleasing sight to the complex. The old bridges of Sio-Se Pol and Khajou. Each bridge coincides with a straight avenue running through the city from north to south. Shah Abbas II built Khajou Bridge in 1650 with two purposes in mind: to be used as a dam as well. 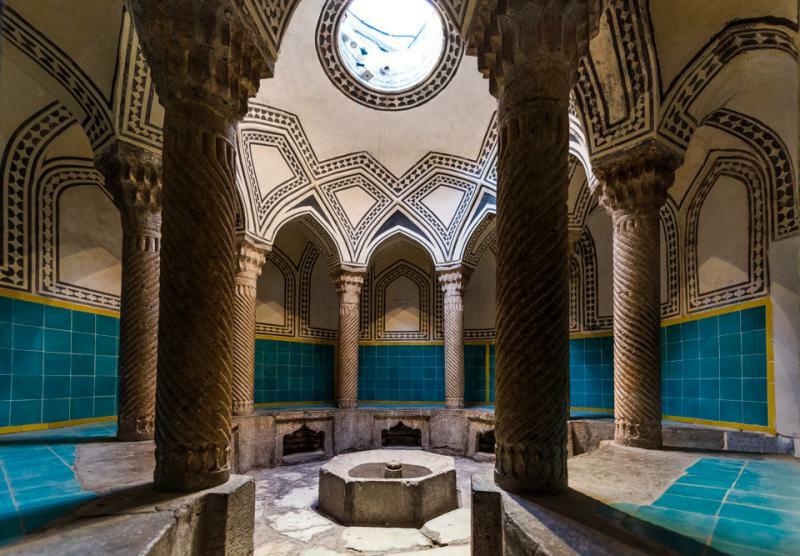 But its most fascinating features are the pavilions set into the 12-meter width called "Princes' Parlors" and once decorated with faience and inscriptions. Sio Se Pol (Bridge of Thirty-Three Arches) is an extraordinary structure, serving both as bridge and dam. Traditionally a number of Christian and Islamic ceremonies used to be held on both sides of this bridge. Morning direct flight to Mashhad or via Tehran. On arrival, transfer to the hotel. 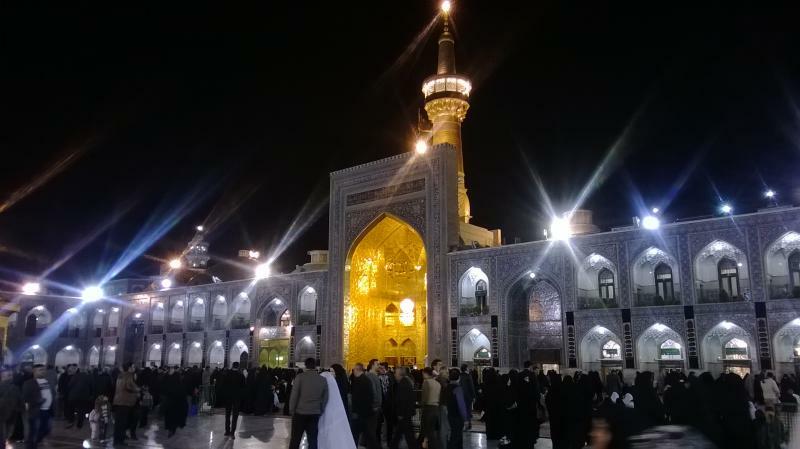 Shrine of Imam Reza. 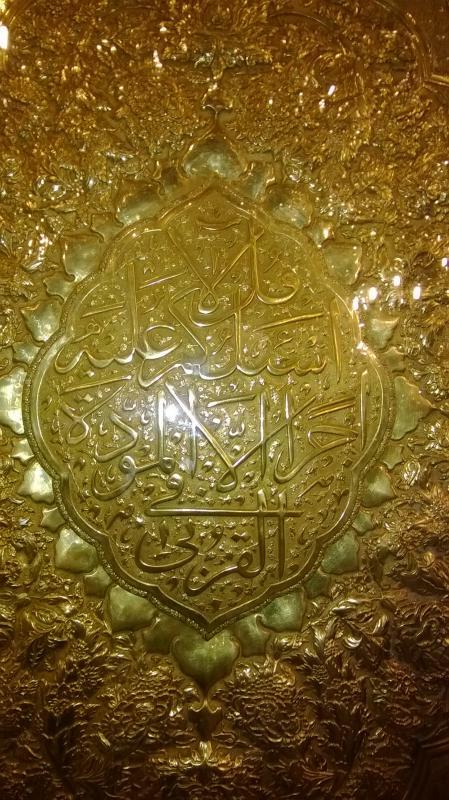 According to the popular belief, Imam Reza died in 817 after eating some grapes. The story spread that he had been poisoned on the orders of the Caliph Ma'mun after having in some way aroused his enmity. Whatever the truth was, Ma'mun buried him next to the tomb of his own father, the famous Haroon-al-Rashid, and in time this burial place began to attract Shiite pilgrims. Visit to some chambers within the shrine is prohibited so as not to disturb the religious ceremonies. Day 08: Mashhad / Teheran and departure. Morning transfer to for the flight to Teheran. Those proceeding on the Turkmenistan Tour will drive to the Bajghiran Border to continue to Ashgabat. meals: Breakfast,Lunch,Dinner daily (full board). Private air-conditioned transport for all transfers and city tours. Entrance fees to museums and sites during tours. Airfares, domestic or international. Cost for Air travel as per itinerary is quoted separately.Airport departure tax.